Electric vehicle start-up Nio wowed the world with its EP9 supercar by cracking the Nurburgring lap record for road-legal cars, and now the company has released details on something more conventional-looking, the ES8 electric SUV. Key statistics are outputs of 643 hp and 840 Nm of torque courtesy of a pair of electric motors driving all four wheels, drawing power from a 70 kWh battery pack which is also rated for a range of 352 km. Said battery pack can be swapped out once depleted, for a fully charged one in approximately three minutes, while a 10-minute charge offers up to 100 km of driving range. The ES8’s all-aluminium construction accommodates seven occupants, with the typical luxuries expected of an upmarket SUV including Nappa leather, digital instrumentation, a large infotainment with a portrait-oriented screen – like that found in the Tesla Model S – along with activated carbon and HEPA filters and a negative ion generator within its ventilation system. The ES8 is also loaded with safety technology, with NIO Pilot which is a form of driver assistance. A total of 23 sensors include a front-facing, trifocal camera, four exterior cameras, five millimetre-wave radars, a driver monitoring camera and 12 ultrasonic sensors. These enable automatic emergency braking, traffic jam assist, highway pilot, blind spot detection, traffic sign recognition and lane departure warning. The all-electric SUV also comes with NOMI, touted as “the world’s first in-car AI system,” which can listen, help and talk to drivers on their drives, the company said. Pricing in the company’s native China starts at US$67,715 (RM275,924), while the 10,000-unit run of Founder’s Editions will go for US$82,824 (RM337,490). Added to this is an offer for a battery rental plan for US$193 (RM786) monthly, which helps subtract US$15,114 (RM61,568) from the ES8’s list price. In its native China, the ES8 will go head-to-head with the Tesla Model X, the only other fully electric SUV on sale. 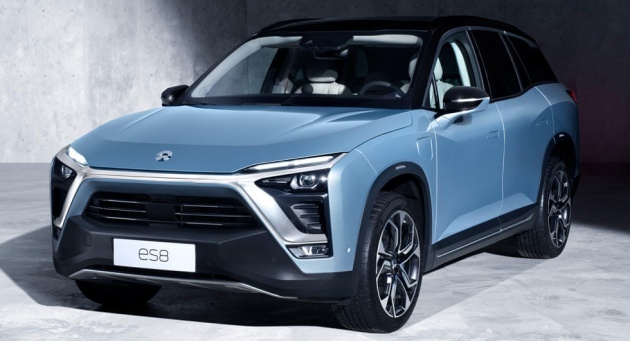 Compared to the Nio ES8, however, the all-electric SUV from Palo Alto, California starts from US$101,950 (RM415,468), nearly double that of the Nio ES8. And although it has been spotted in Malaysia, it doesn’t necessarily mean it will make an official debut on our shores. Given the choice of these two electric SUVs, which will it be, dear readers? 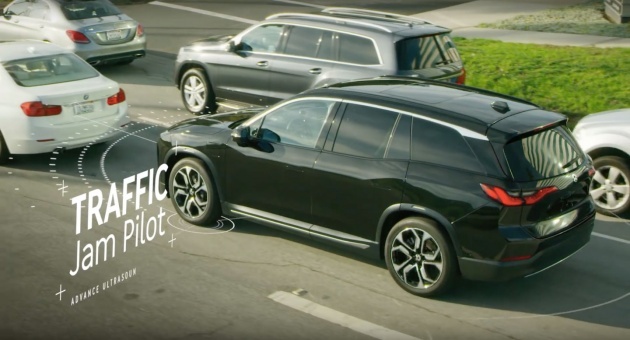 The Tesla Model X or the NextEV Nio ES8? Not necessarily. It was just here for a video shoot. Geely how come no buy Nio. Hmm… Cool factor, Tesla Model X for me. But this Nio ES8 is kinda nice. Lampu depan dan belakang made in Malaysia..Malaysia Boleh!!! This car was also developed by Malaysian whom most of them are Ex-Proton. A friend of mine is an engineer at Nio.